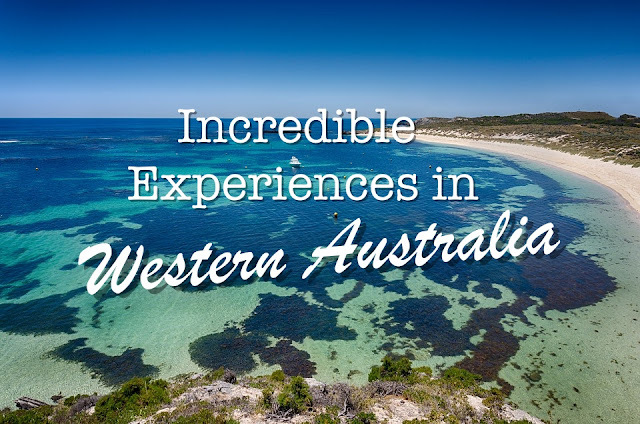 Honestly, when I was told that I had an opportunity to visit Western Australia, I didn't even have the slightest idea! What is interesting there? The only thing that came to my mind was the Pinnacles, that was all. Now that I've explored the Coral Coast and back, I feel that it's now my responsibility to spread the words, about how awesome is Western Australia. The scenic flight was the most anticipated agenda of my recent trip to W.A. We arrived at the Geraldton Airport to enjoy our private scenic flight in an 8 seater Airman aircraft, operated by Geraldton Air Charter scenic air tour. Our flight over the island groups was spectacular, with sweeping views of the coral coast, island groups, and the roaring ocean. 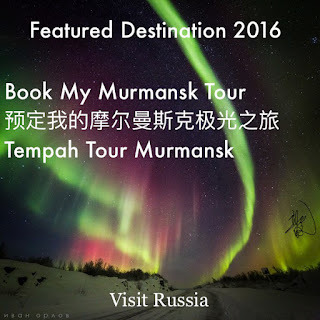 There are many tour routes to choose from, whether you prefer a short ride or want to request an air transfer to your next destination, they can help you design the perfect route. Those who have motion sickness should prepare some scopolamine. There are emergency bags next to every seat. 2. Sandboarding in Lancelin Sand Dunes. I wasn’t feeling too well the day we visited Lancelin, but my instinct told me I’ll regret AF if I do not pick up a surfboard in town. Turn out, I was right. The sand dune is one of the largest in Western Australia and the sand is soft and powdery. I only manage to slide down twice because I was too caught up photographing others (and myself)! Tourists of all ages! Sandboarding is an easy activity (in comparison to surfing or snowboarding). You do not need special skills to have fun! Remember to apply sunscreen! You have to wax the bottom of your board after every slide, and do not place your hands underneath the surfboard while sliding down. We arrived just in time for the Sunset at the Pinnacles. It is still my favorite travel memory to date. Located within the Nambung National Park, the Pinnacles are natural limestone formations which take various curious shapes (some freaking eerie!). The best time to visit the park is at sunrise or sunset, because firstly, you’ll be able to beat the crowd, and secondly, you’ll have a rare opportunity to see how the color and shadow changes as the sun rises/descent. The best place to enjoy the view is from the Pinnacles lookout located at the highest point of the dessert. While on our way back to Perth during our Coral Coast Road Trip, we decided that a visit to the Pink Lake will complete the magic. Although it wasn’t the best season nor time to visit, we drove towards it with much anticipation. Fingers crossed! 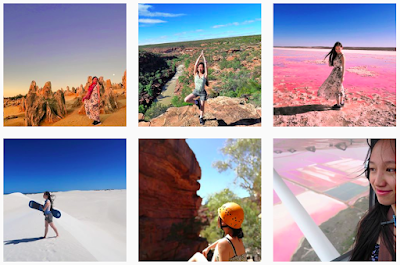 There are a few pink lakes in Western Australia. 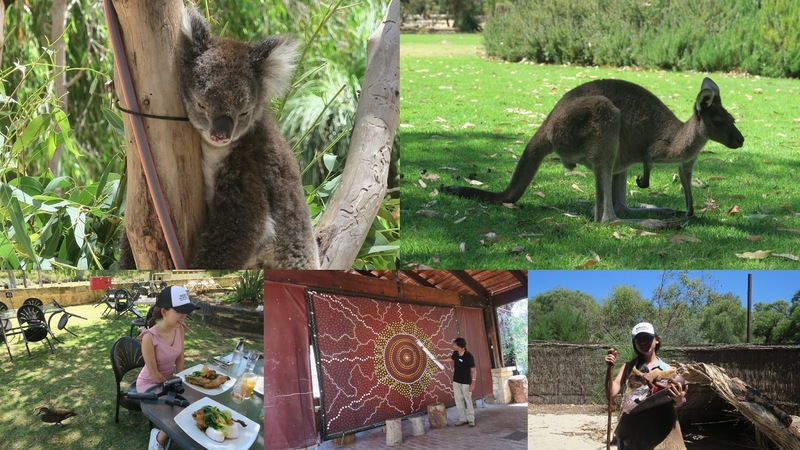 The one we had chosen for this trip is Hutt Lagoon, the easiest to drive to from Kalbarri. 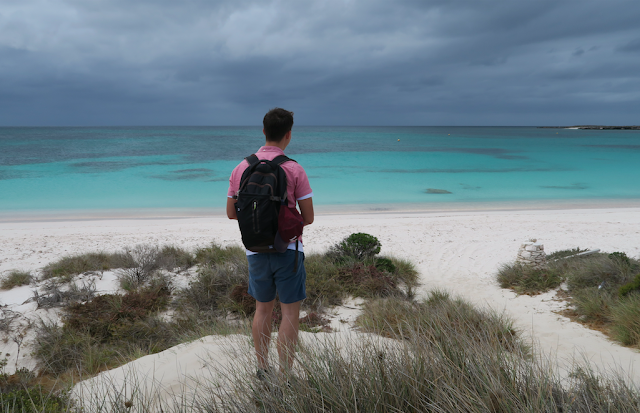 The Hutt Lagoon is located in Port Gregory, a picturesque fishing village encircled by 5km of exposed coral reefs. The lake is huge and elongated, covering a total of 14 kilometers in length. Abseiling is like nothing I’ve done before. I was afraid, but Matt and Cole (our guides for the tour) are very professional, I really don’t have to. 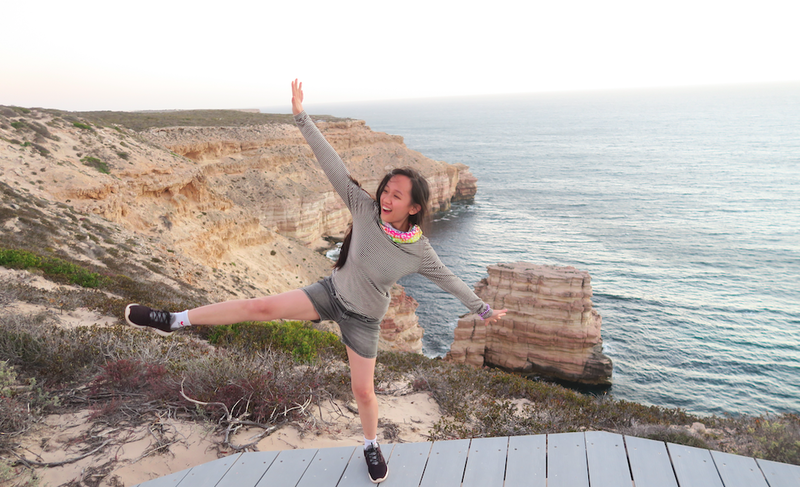 After conquering the 35 m cliff, I literally felt that my limps (and heart) were ripped apart (not because of pain but due to fear!). A “set” provided by the tour consisted of a trail at the 4m cliff, twice at the 25 and 35m cliff (each). This activity is suitable for all from regular adventure seeker to complete amateur or even person afraid of height (like me! ) After the hard work, continue on the trail until you reach the Murchison River. This can be a relaxing picnic spot followed by a dip to finish off the unforgettable tour! Adventure-seeker! As long as you aren't terribly afraid of height, you should be able to do it! We land on East Wallabi Island then walk to Turtle Bay for a swim/ snorkel. I had some troubles with the snorkel mask, so I ditched it after awhile, but rest assured, my experience wasn’t any less incredible. If you have a chance to get into its crystal clear water you’ll know what I mean. You don’t even need to submerge your head into the water to see the fish clearly… too bad I didn’t have a waterproof camera, or else I would have recorded everything down. and oh, we saw some dolphins too!!!!! We had some free time looking for wild wallabies before flying out of the island. 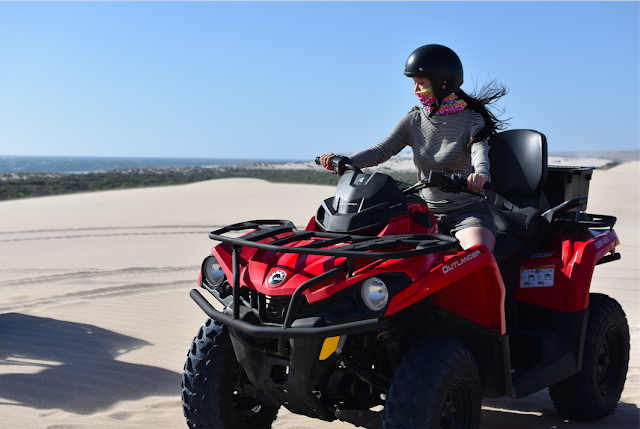 With our cool quad bikes, we cruised along the Wagoe beach with sweeping ocean view… not to forget the thrill of riding up and down a pristine sand dune! On top of that, we had a refreshing stop at the Lagoon for afternoon tea, freshly baked chocolate muffins, how nice! If you are not comfortable enough to ride a quad bike, beach buggies are easier to operate (drive it just like any normal cars). Suitable for: Anyone with a valid driving license. Remember to bring your sunglasses and wear long sleeve shirt to protect yourself from flying sand! From the Nature Bridge, sunset looked exceptionally spectacular. The place looks like a mini Ocean Drive as the rock formations reminded me of the 12 apostles. We were told beforehand that visitors aren’t allowed to cuddle the koalas. Then only I know that the Koalas are not comfortable with human touch. That’s fine, I would like to travel more responsibly anyway. Our indigenous guide Derek did an awesome job introducing the daily routine of the animal while leading us through the 240-meter koala boardwalk. I am happy that I’ve gotten some quality shots of a cute one sleeping in the eucalyptus tree. I would like to include Fremantle in this list to honor the city’s respect and dedication to original art! 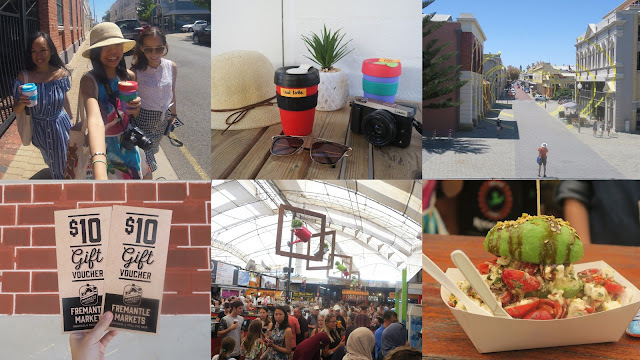 The City of Fremantle Percent for Art Policy supports the commissioning of original, high-quality works of art to enhance the public interface of new developments. To achieve this, the Percent for Art Policy stipulates 1% of the estimated development costs of relevant development types within specified areas be attributed to commissioning an original site-specific public artwork. Now, this is exactly how a city of Art should be! Now, its your turn to tell me your top 10! What else should I include in this list? Let me know by commenting below! Follow me on Instagram if you would like to see more photos! 📌For more travel tips, like Eat Love Travel Breathe with Miss HappyFeet. 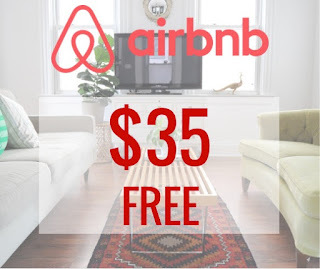 📌Subscribe to the monthly newsletter for exclusive travel deals, tips, free E-books, monthly giveaway and travel coupons!